The inspiration for the hotel in The Shining came from The Stanley Hotel in Estes Park, Colorado which is a haunted hotel. The movie adaptation used the Timberline Lodge to shoot the film. Both Ghost Adventures and Ghost Hunters featured this haunted hotel that also tops the lists of the most haunted places in the U.S. Kitchen staff have reported to have heard a party going on in the ballroom, only to find it empty. People in the lobby have allegedly heard someone playing the ballroom?EUR(TM)s piano; employees investigating the music purportedly found nobody sitting at the piano. Employees believe that particular ghost is of Freelan O. Stanley?EUR(TM)s wife, Flora, who used to be a piano player. In one guest room, people claim to have seen a man standing over the bed before running into the closet. This same apparition is allegedly responsible for stealing guests?EUR(TM) jewelry, watches, and luggage. Others reported to have seen ghosts in their rooms in the middle of the night, simply standing in their room before disappearing. 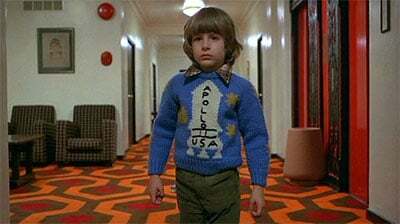 Danny Loyd (the son Danny Torrance) thought he was cast to star in a drama movie and not a horror film. Working with none other than Stanley Kubrick, that mirage of safety soon faded. Above is a funny "The Shining (Happy Version)" trailer. Stanley Kubrick called Stephen King at 7 am in the morning, this is the first, and last time they spoke before production began on The Shining. Kubrick demanded to know what King thought of the afterlife and ghosts before ultimately hanging up the phone on King abruptly. At seven in the morning, King was shaving in the bathroom when his wife ran in to tell him there was a call from London, it was Stanley Kubrick. Just the mention of the director?EUR(TM)s name was shock enough that when King went to the phone, he had a line of blood running down one cheek and the other was still white with foam. The first thing Kubrick said ?EUR" and it?EUR(TM)s worth noting that King?EUR(TM)s growly impersonation makes him sound like a swamp creature ?EUR" was: ?EURoeI think stories of the supernatural are fundamentally optimistic, don?EUR(TM)t you? If there are ghosts then that means we survive death.?EUR? King asked him about hell, how did that fit in? There was a long pause, then: ?EURoeI don?EUR(TM)t believe in hell.?EUR? The iconic elevator scene where gallons of blood rushes out of doors took about a year of planning and was shot in only three days. 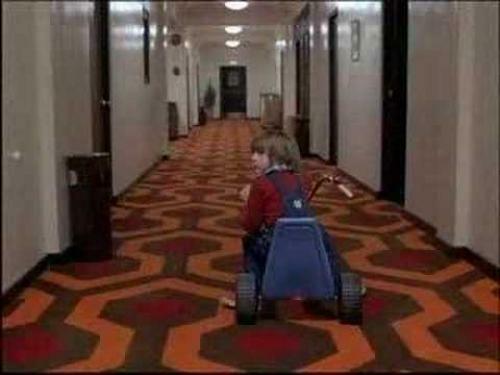 Stephen King released the sequel to The Shining in 2013. Horror novel Doctor Sleep is the official sequel to the original novel The Shining published on January 28, 1977. Stanley Kubrick is known for his attention to detail and a theory floating around is that he typed all 500 pages of the "All work and no play make Jack a dull boy" manuscript himself. I believe that theory knowing how engrossed this horror director gets into his films. Jack Nicholson worked as a volunteer fireman and therefore tore through the prop door way too soon with the ax. The prop department had to use a real door in the iconic bathroom door smashing scene. 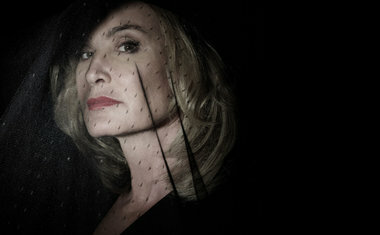 Jack Nicholson wanted Jessica Lange (FX’s American Horror Story, King Kong (1976)) to play the role of wife Wendy Torrance (Shelley Duvall). Danny’s Apollo 11 sweater is a pretty direct reference. The haunted room number was changed from 217 in the novel to 237. The moon is 237,000 miles from Earth. The space-drink Tang is clearly scene in the hotel’s pantry. Jack’s dialogue with Wendy is said to echo the feelings Kubrick has towards faking the moon landing. "Does it matter to you at all that the owners have placed their complete confidence and trust in me, and that I have signed a contract in which I have accepted that responsibility?" 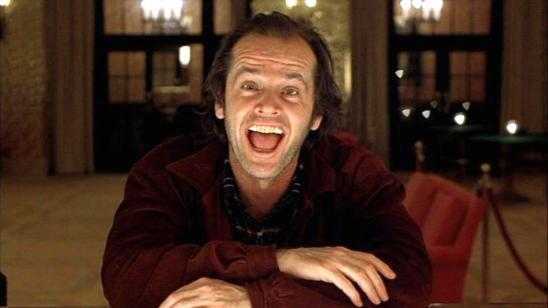 The Stanley Hotel plays the r-rated version of The Shining on a loop on one of its TV channels. Kubrick wanted to draw attention to the genocide of the Native American / American Indians and went through painstaking feats to include Native American designs in the set theme for the Overlook Hotel. Stanley Kubrick vs. Stephen King theory draws reference to Kubrick changing the red Volkswagon to a yellow colored version. Explored in Room 237 (2012), King’s red Volkswagon is seen crushed in an accident on the side of the road at the end of the film.